Due to the mahogany body and bolt-on maple neck, the Epiphone Thunderbird IV possesses a warm ground sound with great attack. The fretboard consists of rosewood and carries 20 frets in a modern medium Jumbo format. Both of the Epiphone TB Plus Humbuckers deliver powerful, cutting sounds that will leave your pant legs shaking. There are controls for Volume and a general Tone knob. The bridge is mounted on three bolts and guarantees perfect intonation of the Epiphone Thunderbird IV Reverse. Reliable, capsulated tuners deliver great tuning stability. Very good bass for the price. I own Gibson Thunderbird with custom pickups, and i decided to buy a cheaper "younger" model for gigs. The bass has a decent output with the sound i expect from thunderbird - growling lows and little highs. As for usability and comfort - it has a little neck dive, but i was aware of it. I solved the problem using leather strap rather than nylon, it doesnt slide on the shoulder and the neck stays in the same position. 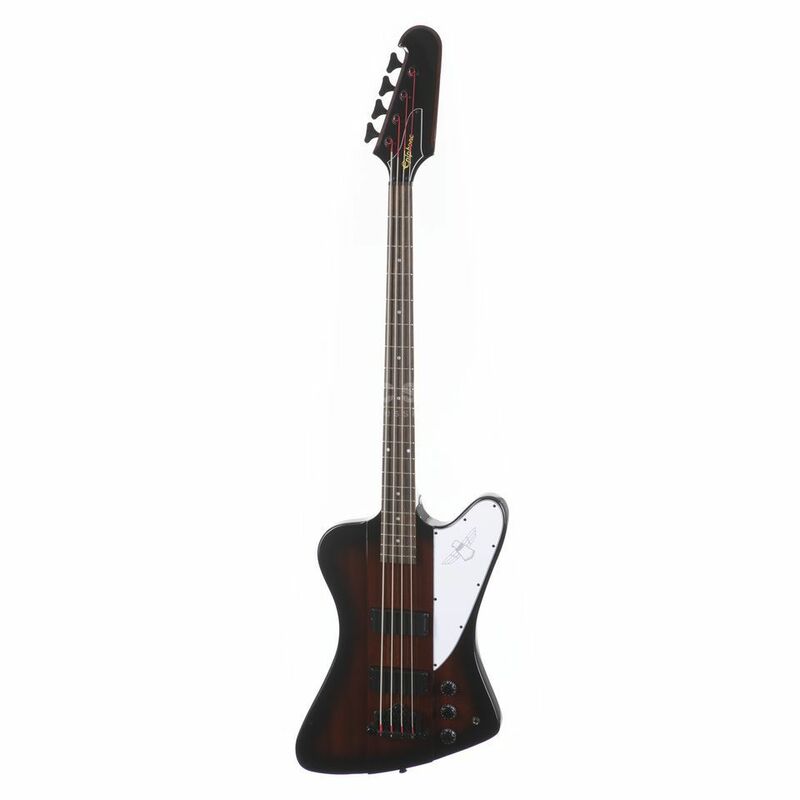 Received this epiphone thunderbird bass in a excellent package. The bass looks amazing and the sound is good enough for the price! I can say that this bass is equal to some basses that cost 500 euros ! Its a bit heavy but it´s ok! The design is amazing. I´m really happy and i recommend this bass to anyone that doesn´t want to spend a lot of money and wants to have a good bass! Epiphone really has done a excellent job.Thank you Music Store ! This beast handles rock pretty well. Why do I say that? Because its sound, plugged strait into an amp, is all "rock and roll". I tried to slap it and I was disapointed but for the firgerpicking / picking style, the ThunderBird growls! The finish and the craftsmanship on it are near perfect (I couldnt see any flaws).